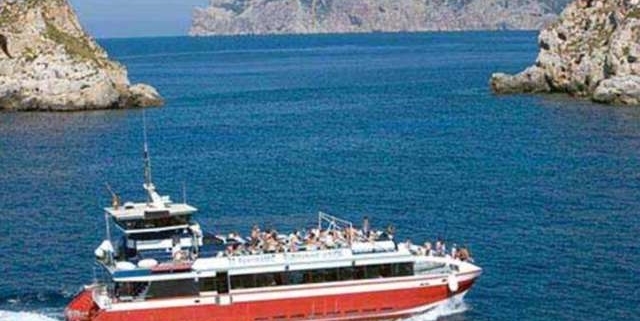 Tourist information and guide to boat trips and cruises from Santa Ponsa, Majorca, Spain. Daily boat trips in Santa Ponsa is also a fun day out activity made through the crystal clear waters and beautiful coves of Majorca. It is one of the best things to do in Santa Ponsa. You may experience and enjoy the beautiful views of the Palma Bay as you cruise out to sea, passing through the beautiful locations such as Magaluf, Portals Vells and Punta de s’Estaca. 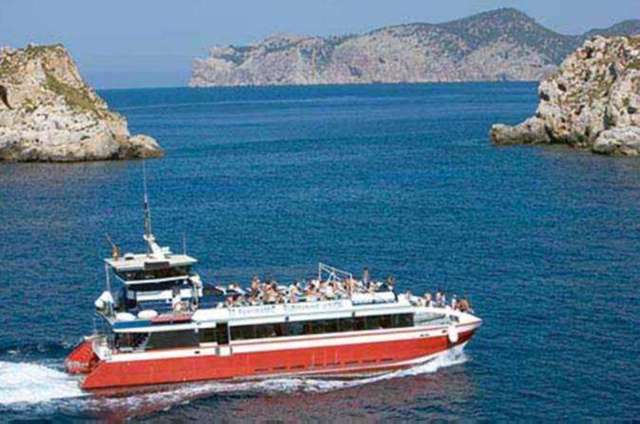 During the trip boats stop at several locations and you are able to swim or sunbathe on board while taking in stunning views of the Mallorca coasts. Boat trips also has a lunch of paella with cava in the company of Spanish music onboard. Holidaymakers may find and attend to boat trips that depart from the Santa Ponsa beach and from the port and enjoy the beautiful shores and sea along the south-west coast of Majorca. Most trips costs about 15-20 €.